Over 16 yards of green duponi silk went into this dress made from Simplicity 4510. I also had a hard time finding enough black satin ribbon to use as trim and had to use an online floral supply store to buy in bulk since the pattern requires 47 yards (insane!). This was a crazy complicated dress but was worth it in the end. Bonnet made from Timeless Tresses Flora Francine pattern and their basic buckram kit. 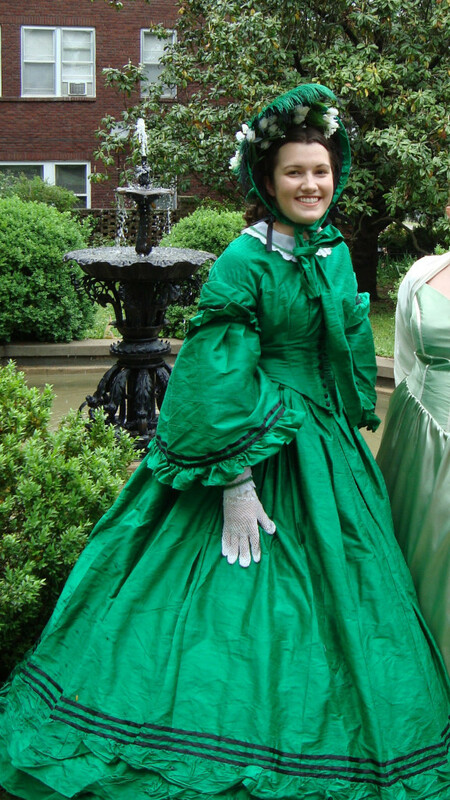 I highly recommend this annual weekend for anyone who loves antebellum dresses or interested in the ladies of the 1850’s. 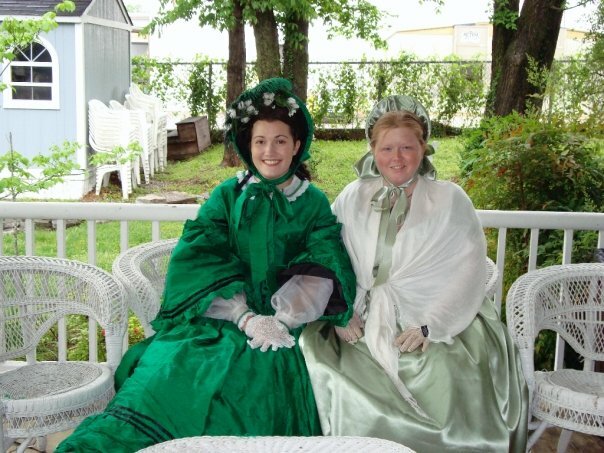 A picture from the Athenaeum porch from 2010 with my friend Trista!